"It’s like sitting down and having coffee with 20 AV professionals at the same time"
Nathan Lively's ebook "Build Your Career As A Sound Engineer" highlights some of the most interesting interviews he has recorded over the years. I started listening to Nathan's podcast, "Sound Design Live" in early 2013. It's one of the few podcasts that I really enjoy keeping up with. The conversational mix of audio tech talk and input from industry veterans offers a unique perspective into the sound design and live sound segment of the AV industry. The conversations that I found most interesting had to do with S.A.C. (Software Audio Console), live streaming, microphone technique, AVB (Audio Video Bridging) and working within a tight budget. In addition to being able to think on your feet and troubleshoot in a stressful situation, sound designers are expected to do more with less. Hearing other industry professionals discuss new technologies and alternatives to traditional sound reinforcement solutions challenged me to think outside the box. From time to time people on social media ask me about being an "AV tech" or getting into audio engineering as a full time gig. It's very difficult to respond thoroughly to those questions about the different career possibilities in 140 characters or less. I will gladly point any curious folks to this book because I know it will give them a glimpse into a number of audio related career paths and probably introduce them to some new trends in technology. The only negative I would point out is the conversational style that flows so seamlessly in a medium like an audio podcast can be difficult to fully grasp in it's written form. Full disclosure: I suffered through a program called Hooked On Phonics as a kid cuz I didn't read good. So take that with a grain of salt. In summary, I haven't seen anything quite like this assortment of pro audio interviews. It's full of great people with really cool jobs talking about the newest technology. A fantastic live sound resource for anyone trying to gain some perspective on the industry. YouTube processes 3 Billion video searches per month according to research conducted by Mushroom Networks. People are searching for, watching and creating new videos in mass proportion. My YouTube channel reached 1 Million upload views in August of 2013. I've learned a few tips along the way that I believe have contributed to my success and I'd like to share them with you. If you're trying to get noticed on YouTube how do you compete with the pure volume of videos out there? By "long introduction" I mean anything more than 3 seconds. I've seen this a lot with new YouTubers and I think it turns people off. These YouTubers use a fancy 15 second introduction with a cool animation that looks amazing. The problem occurs when that same intro gets used repeatedly at the beginning of every 3 minute video they upload. Don't get me wrong, the concept of branding your videos is good but in the world of video production for YouTube there are better ways to accomplish this. The main thing you need to do right out of the gate is capture people's attention. The first 15 seconds are crucial because this is when potential viewers decide whether to click on something else or stick around and watch your video. This isn't just my opinion either. It's in the YouTube Creator Playbook on page 6. I personally find long repetitive intros very annoying even if the effects and production values are top notch. Think about how it becomes a roadblock to the real content that people are searching for. The whole idea is to keep people watching the video and hopefully have them watch multiple videos back to back. If they have to sit through the same introduction every time they probably won't stick around very long. The only exception to this would be if you create videos that run 30 minutes or more. Longer content can merit a longer television style introduction. Other than that, in the world of short clips and sound bites, a 15 second intro is equivalent to shooting yourself in the foot. Just say no. Don't do it. Some people pick up on this right away but for most people (including me) this one takes practice. You'll only get comfortable on camera by jumping in with both feet and learning through trial and error. Talking into a camera can be a little awkward at first, mostly because we've never taken it seriously before. My first few videos were pretty rough as I was learning how to present myself and speak effectively on camera. After reviewing my early videos I noticed that I tended to come off as a little bit grumpy. I was forgetting to smile. Even though a YouTube video is a one-way line of communication it's important to keep a conversational and friendly attitude. If you can muster up an authentic smile before you hit the record button your content will probably be more engaging. While I was earning my bachelor's degree in sound recording technology at UMass Lowell I learned a valuable tip having to do with recording authentic and engaging dialogue. I can't recall the source of this advice but it went something like this: If you imagine yourself speaking to thousands you will reach no one, if you imagine yourself speaking to one person you will reach thousands. Something magical happens when you turn the camera on and capture an authentic conversation versus speaking generically to a crowd of nameless faces. Be yourself and be real. People are excellent at sniffing out a phony. 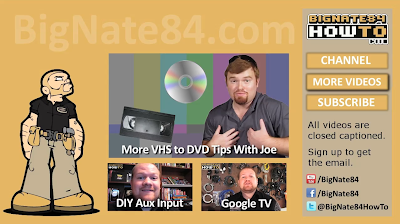 BigNate84 YouTube Video Closing Sequence. Closing sequences have a little more flexibility compared to introductions. You can make your closer longer than your introduction primarily because if people made it that far into your video, chances are they like what you have to say and they want to see more of your stuff. I would recommend a closing sequence to be 15 - 20 seconds long. You might be thinking back to point one above where I just said long introductions can be a roadblock to your content. If that's true then how are long closers any different? Hear me out. Long closers are acceptable if they are designed to direct people to other content you have created and other places you hangout on the web. You want people to be exposed to more of your content and give them a sneak peek of your best work while you have their attention. Don't forget to showcase your website and any social media sites where people can connect with you. The closing sequence seen here was created using a free photo editing program called Gimp. What you're looking at is a screen shot from the last 20 seconds my video. The original picture file created in Gimp was 1280 x 720 pixels. This file contained my logo, avatar and all the information in the side bar on the right. Next I imported the still picture file into Final Cut and added the 3 channels of video featured in the middle. The end result is a combination of still pictures in the background and video thumbnails in the foreground. Make it interactive! 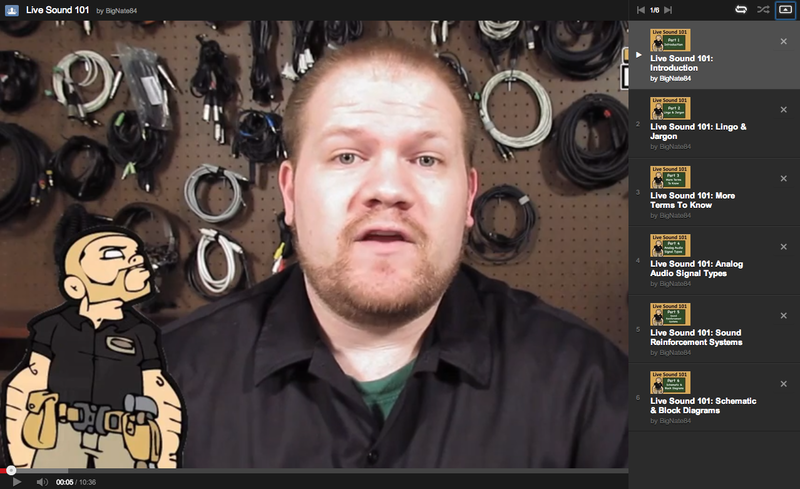 Once your video exists on YouTube, open up the video manager, go to edit, then to annotations. When you add an annotation you can select "spotlight". Once the spotlight annotation has been created you can position this overlay on a specific portion of your closing sequence. You are basically creating an in-video button that exists for a specific duration of time during video playback. For example my closing sequence featured above has a total of six spotlight overlays. Three overlays located over the video thumbnails that link back to those videos. 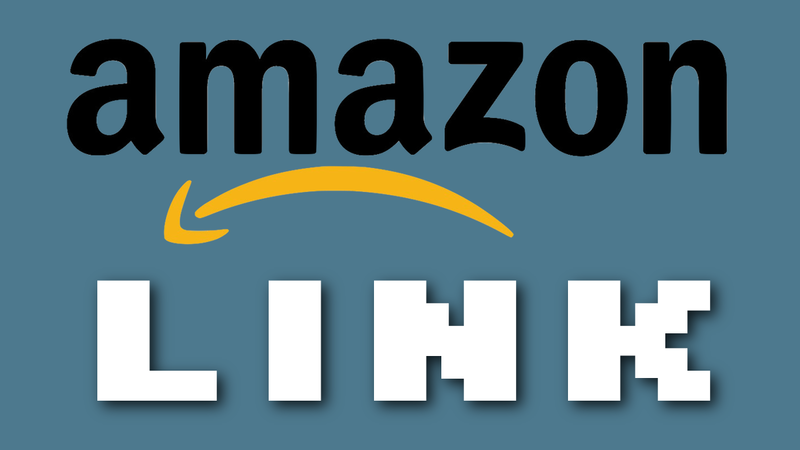 The other three links to go with the buttons in the side bar. Annotations allow you to have multiple overlays that become clickable buttons to the viewer. Whenever I create a video about consumer electronics I always link back to my most popular consumer electronics videos. Video Link Annotation Tip: Taking things a step further, when you look up a link to another one of your videos for use in an annotation, I highly recommend linking back to a video within a playlist rather than linking back to the YouTube watch page. Live Sound 101 Playlist - Notice the fancy navigation bar on the right. Playlists are a great way to keep your channel organized. In addition to keeping things in order they can help increase views. Playlists are nice because after one video ends the next video in the list will automatically begin to play. This is great for a chronological multi-part video series like Live Sound 101 for example. Videos in playlists have additional navigation functionality so that the viewer can see what's coming next and skip around as they wish. As mentioned in the tip above if you retrieve and share a link to a video when it is being viewed within a playlist this will take people to that video within the playlist. As opposed to taking people to the standard YouTube watch page. This may seem like a minor difference but it can help introduce your audience to more of your content. When someone is watching a video on the standard watch page, after the video ends YouTube will generate suggested and related content. However if you link to the video within a playlist, you can ensure that another one of your videos will come up next. This is a great skill to keep in your tool belt. YouTube has gotten pretty slick. In the event that you have already created many videos with long and repetitive introductions, it would be nice to optimize the playlist viewing experience. When you create a playlist you can adjust the start and stop times of each video within that playlist. This won't affect the start and stop times of your video when it's viewed on the standard YouTube watch page, only when it's being watched in a playlist. To play with these settings just go to your video manager, locate your playlist and click on "edit playlist." 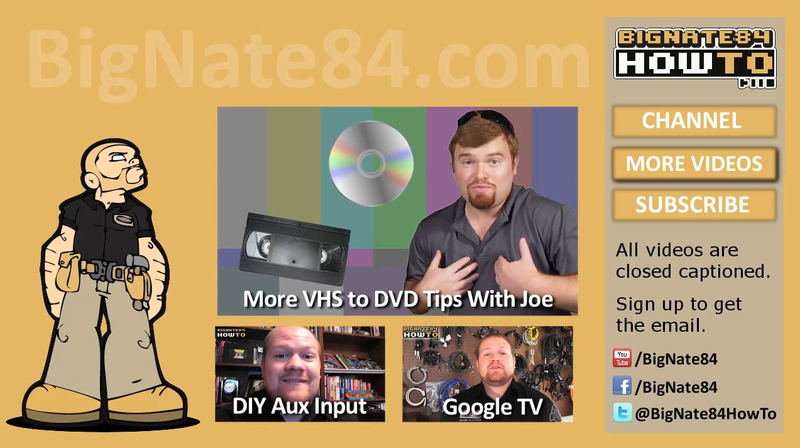 Notice a little play button in the bottom right corner of the video box. This is the feature that will allow you to change the start and stop time of that video specifically when a viewer is watching it in a playlist. Adjust start & stop times within a playlist. This is assuming you already have a logo. If you don't have a professionally designed logo I would recommend adding text of your name or brand to the corner of every video. Text or picture logos can be added to your video during the video production process in a number of ways depending on your video editing software and work flow. When adding a picture logo during video production I recommend using a picture file format known as PNG. This format type has an alpha channel. Since I am not an expert graphic designer I can't explain in any great detail what an alpha channel actually is but I do know why it is important. PNG picture files support transparency. Transparency is very beneficial in the world of video production. If you were to superimpose a JPG version of the same logo, transparency information would not exist. If you import a JPG logo and superimpose it over your video there will always need to be a solid background color. I think a picture would do a better job explaining this. See the picture below comparing my logo (PNG) with Eli The Computer Guy's logo (JPG). Special thanks to Eli for giving me permission to use a screen shot from his video to help illustrate this point. The BigNate84 logo on the left is a PNG image which supports transparency. The logo on the right is JPG which does not support transparency. Logo Design Tip: Mark Marianelli of Six AM Comics designed the BigNate84 logo. If you pay him handsomely maybe he'll design one for you too? Tell him Big Nate sent you for 10% off. YouTube supports closed captions just like traditional TV programming. Viewers can turn them on and off as they wish. Closed captions should not be confused with titles or lower thirds, which are others forms of text within a video which cannot be turned off or customized according to the preference of the viewer since they are typically baked-in permanently to the final rendering of the video. Closed captions are different in that they can be controlled by the viewer. There are many reasons to invest time into adding captions to your videos. The main reason is that it makes your content more accessible to the hard of hearing and others who speak different languages. The auto-caption feature is fun but it is not very accurate. The auto-translate feature is not perfect either but tends to get the job done. Typing out captions manually does take some work but it just got a whole lot easier. Last month YouTube rolled out a new feature specifically designed to help YouTube creators type up closed caption files. Just navigate to the video manager and edit an existing video. Under the captions tab you can add a new track. Once you create a track you will find a feature that automatically starts and stops the video based on your typing rhythms. This allows you to listen to a small portion of your video and when you start typing the video will automatically pause so that you can focus on typing what you just heard. Once you stop typing the video will automatically begin to play again so you can move on to the next caption. Your fingers remain on the keys the whole time. I love this time saving feature since I was used to doing things the old way. Check out the video below for more tips about how to create closed captions for YouTube videos. My good friend George just launched a brand new YouTube channel this month. With these 8 tips I'll bet the Civilized Caveman gets a million views by next year.